It’s hard to predict how Disney’s Muppets Most Wanted will fare at the box office in its opening weekend, but the run-up to Friday’s nationwide launch has been nothing short of a brandapalooza. 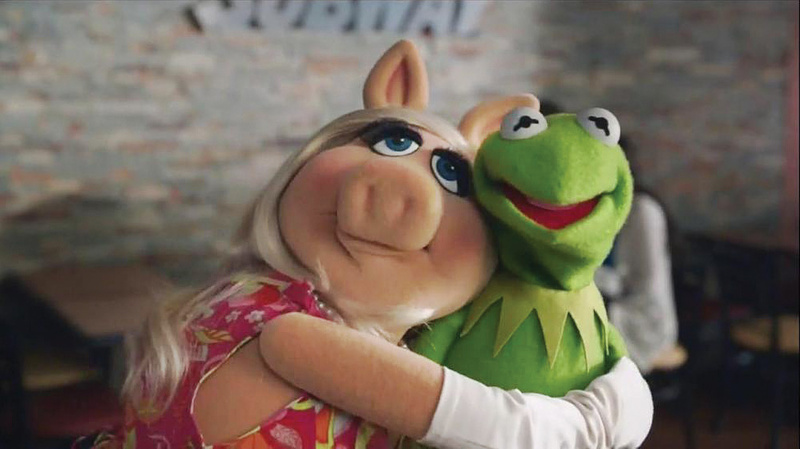 In the past six weeks, Toyota, Subway and Lipton have all rolled out ads featuring Kermit and the gang, beginning with a Toyota Highlander spot in the Feb. 2 Super Bowl. The co-branding efforts have extended online as well with videos and tons of social media support. And why not? Disney, after all, is an aggressive marketer, and if brands are willing to fund such pushes, the more the merrier, right? Still, some of these marriages work better than others, even if all help sell the movie. Two branding experts—Landor Associates’ Allen Adamson and Redscout’s Daniel Wadia—channel Siskel & Ebert to critique the spots. Plot With help from the Swedish chef, a peckish Miss Piggy gets a grilled chicken sandwich with lettuce, green peppers and spinach. What works The emphasis on vegetables, as the Muppets also promote the White House’s healthy eating initiative. What doesn’t The forced use of the movie title in a line from Kermit. Plot A tea-drinking Kermit stands out for his calm, Zen-like demeanor in a city of loud, garrulous Animals. What works The association between the calm Kermit and Lipton’s positioning as a relaxing beverage. What doesn’t The obvious final cutaway to a plug for the movie. Plot After their tour bus breaks down, the Muppets gang get a ride from a tie-wearing Good Samaritan. What works Interior shot of Animal loading his drums into the spacious cargo area of a Toyota Highlander. What doesn’t The pairing of fun, musical and colorful Muppets with a brand that’s sturdy, reliable and not particularly exciting.